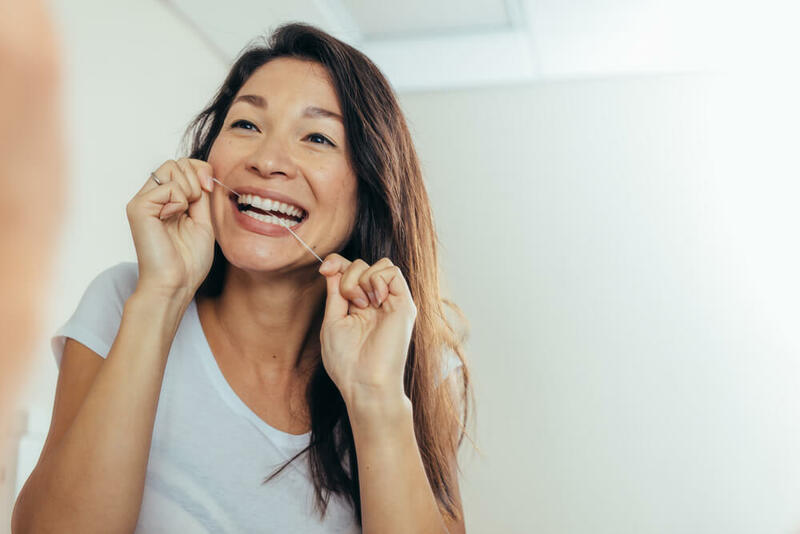 Learn how the connection between dental health and heart health can affect you. Current research is showing a significant connection between oral health and heart disease. The research reveals that many Americans are living with undiagnosed gum or periodontal disease, which can have a negative effect on heart health. When patients visit their physician, they rarely discuss oral health, which leaves undiagnosed oral health conditions time to fester, become worse and possibly affect heart health. Can bad teeth cause heart problems? The answer is yes, especially if oral health problems are ignored, and not addressed quickly and effectively. New research that studied the link between dental health and heart health, discovered two specific connections. The studies revealed that an individual who is living with moderate to advanced gum disease has a greater chance of developing heart disease than someone who does not have oral health problems. The research also revealed that an individual’s oral health can provide doctors with important information that can assist in the diagnosis of heart problems and other diseases. Oral health and heart disease are connected by bacteria in the mouth, which spreads to other areas of the body via the bloodstream. According to the Mayo Clinic, when the bacteria enter the heart, it can attach itself to weakened areas and cause inflammation. This can cause unhealthy conditions in the heart to escalate, resulting in illness, and infection in the interior lining of the heart (endocarditis). The American Heart Association reports that oral bacteria are directly linked to inflammation in the heart, leading to atherosclerosis and stroke. Can Bad Teeth Cause Heart Problems? According to a Harvard Medical School report, oral bacteria that travels throughout the body can cause tiny blood clots, heart attack and stroke, and inflammation and damage to blood vessels. Treating these conditions with antibiotics was not shown to be effective in reducing the risk of heart disease. To avoid oral health and heart disease related problems, good oral health must be practiced.